To create websites as an elegant, effective and engaging digital experience. We take time to carefully listen to your needs, goals, and objectives for the product. We discover your brand and company identity, and then determine the right course of action. We’ll construct an outline of your website development project. Including what we need from you, project milestones and deadlines to provide the most suitable solution for your specific business needs. In several iterations, we will create a visual design of the website following the brand's corporate identity. 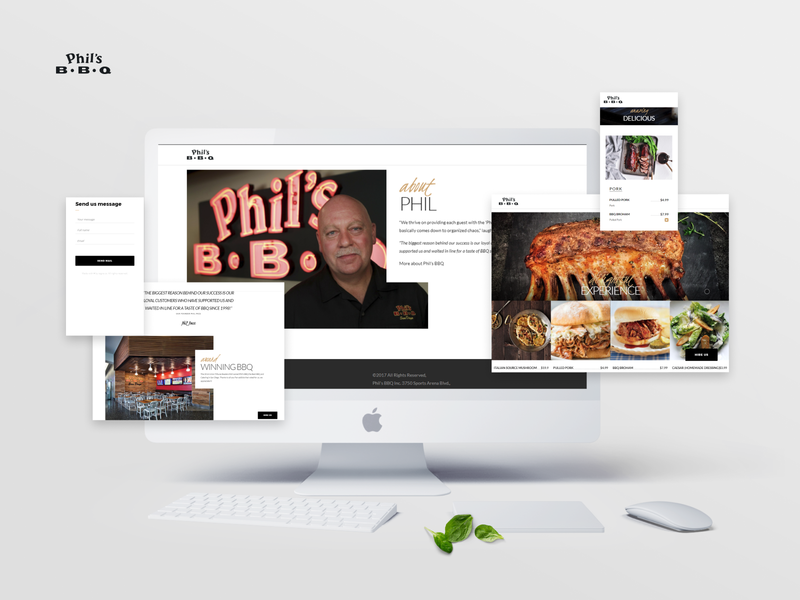 We adapt the design of all website elements to 3 main devices - desktop, tablet, phone. We will use custom illustrations and animations to turn your website into something unique, something which identifies and communicates the brand message, and something with the power to seduce your customers. We will impose a design on the full-fledged adaptive website. If necessary, we will set up the design on CMS (content management system) to simplify editing content on the site via the administrator's panel. We will set up the server. Install the security certificate. Connect statistics counters and heat map. Test the site under load. The site goes live!